Rock n Roll Bride is all about the charm and unique nature of ordinary people’s extraordinary weddings. It shares a diverse variety of wedding inspiration to represent each couple and their individuality and each month will feature an eclectic mix of quirky weddings, DIY Projects and planning advice. 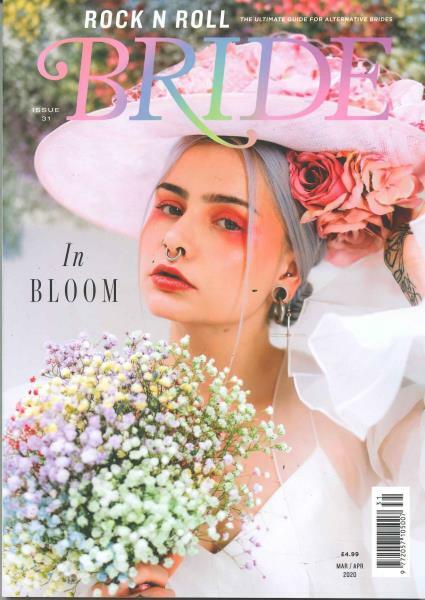 If the average weddings you see in most bridal magazines is not what you are looking for and you want your wedding to represent your style and taste whether that be tattooed punk prides or hippy chic this is the right magazine for you! This magazine originates from a very successful alternative weddings blog, which has more than 300,000 visitors each month. Buy a single issue or subscription with Unique Magazines and never miss an issue!